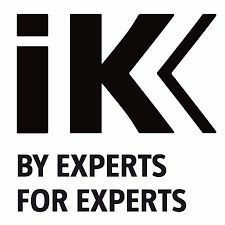 Behind the IK brand there is an international group of people united by the passion to develop new ways of spraying, where our main objective is to make it easier for our users to work in applications in which the safety, robustness and performance of their tools are the key to a successful outcome. IK is a brand focused on the customer, on achievement, change, innovation and on the personal development of its participants. Our philosophy when designing new solutions seeks to understand the needs of users and capture the shortcomings of the market, in order to develop products that can better resolve their problems, make their work easier, and allow us to evolve. These products are manufactured using carefully selected materials that offer maximum resistance in order to meet the requirements of a professional tool. Our strategy is based on the continuous development of spraying solutions that provide a high added value and allow us to be closer to our users, strengthening our position in the global market.